Nashville-based phone/tablet accessories firm Griffin Technology already has an impressive portfolio of rugged, durable cases, and it's just expanded that remit even further with the new Survivor cases for iPad Mini 4 and iPhone 7. 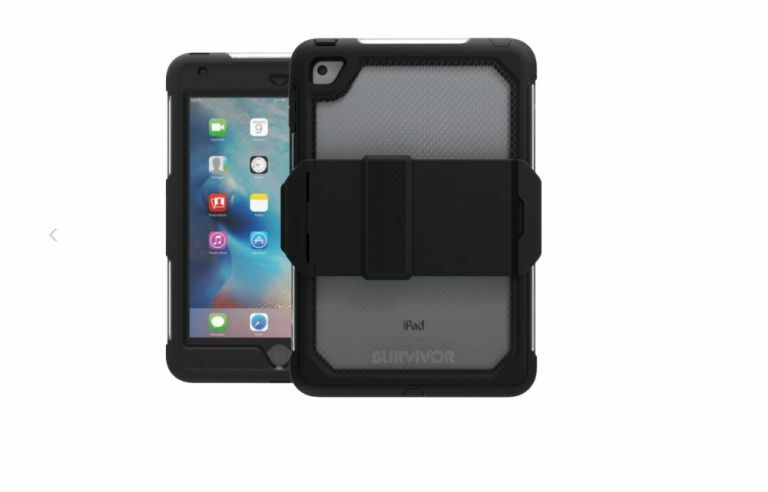 These new additions bring Griffin right up to date with the latest Apple smart products, with the Survivor Extreme case for iPad Mini 4 offering serious protection for less than £70. It's been drop-tested from 2 metres onto concrete, so it protects from both severe impact (and everyday wear and tear) with its built-in Impact Dispersion System, cushioning your device within the impact-resistant shell. Its nifty slide-on design eliminates most of the air gap between touchscreen and the screen guard, offering maximum protection and offsetting impact. Its sealed shell is designed to protect from mud, water spray, and other variables that can cause damage to devices. The Survivor Extreme will be available shortly direct from Griffin. Also coming from Griffin, the Survivor Glass screen protector, marking the firm's first foray into the maximum protection corner of the market. The Survivor Glass is micro-thin at just .5 mm and macro-protective, with tempered synthetic sapphire glass that’s scratch-rated 9H. Survivor Glass is available now for £40 direct from Griffin, in sizes suited to both iPhone 7 and iPhone 7 Plus.